The history of the university dates back to two specialist schools, Tokyo Fine Arts School and Tokyo Music School, both founded in 1887. 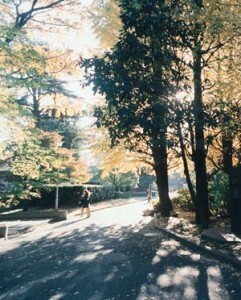 The merger of these schools, in 1949, formed Tokyo National University of Fine Arts and Music. The former of these schools is the present-day Faculty of Fine Arts, the latter the Faculty of Music. From its beginnings, over more than a century ago, the university has played a major role in the arts of this country, producing many fine artists and musicians. Since its foundation as a university, its curriculum and facilities have undergone continuous development. In 1963 the university opened its graduate school. Initially offering Masters programs, the school expanded to cater for doctoral students in 1977, enhancing the level of education and research in the university as a whole. In 1987 the university acquired a new campus in Toride City, Ibaraki Prefecture. The facilities, which complement those at the Ueno campus, include a large workshop complex, containing areas such as metal working and lacquering. In 2004, following the corporationization of the national universities, it became the National University Corporation Tokyo Geijutsu Daigaku. In 2005, the university established the Graduate School of Film and New Media in Yokohama City, Kanagawa prefecture. In 2006, Senju campus was opened. In 2016, the university established the Graduate School of Global Arts.